My name is Ed Mendel, and I founded Ancient Tree Drums. I'm a llfe long drummer and I'm currently playing in a blues band. Years ago I was a collector of drums. I was driven to find out what it took to achieve a great sounding and recording snare drum . I started by purchasing many of the best snare drums built by the large drum companies; Ludwig -Supra Phonic, Noble & Cooley- Alloy Classic Cast Aluminum, Trick -AL13, Yamaha- Cast Copper, Pearl- Maple Free-Floater, DW- Collector Series Maple, DW-Edge Maple/Brass. I would set different heads and tension... good drums, but I was looking for something different. I started buying and finishing drum shells from small custom builders and the world opened up! What kind of snares sound best? What type of lugs? What hoops will make it sing? First I bought a thin ply shell, then a steam-bent shell, and even a shell that was hollowed out of a single log. Now I was onto something! Then I purchased a stave shell. This is what I was looking for! 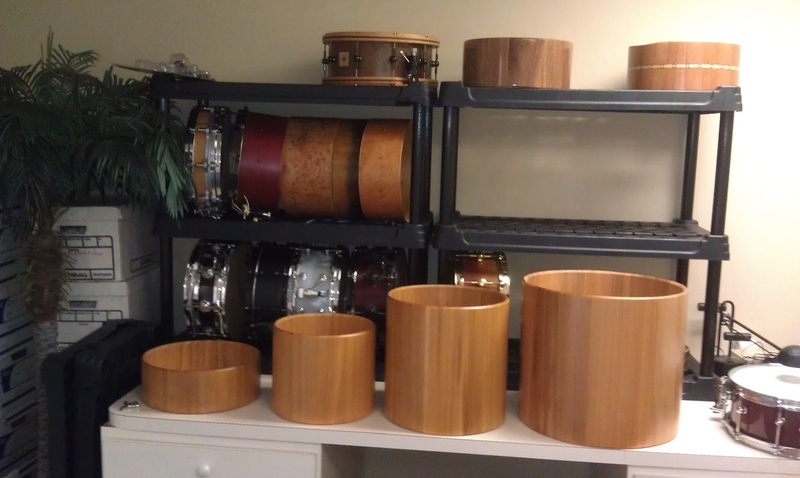 Stave drums are made typically of 20 pieces of solid wood and are assembled vertically. The result is much less glue used than in the typical veneer shell used by the "big boys." Also because of the vertical joints the sound is more focused. Stave shells also provide for greater variety of wood choices. 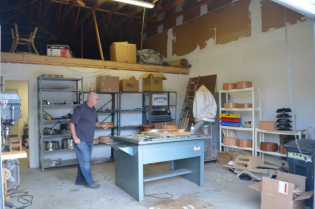 I apprenticed with a cabinet shop's master craftsman and learned the art of stave construction. I built a maple and a cherry stave shell. Great sound with a sensitivity. I went searching for other wood varieties to experiment. I was able to locate an extremely rare and wonderful treasure... heart pine and cypress sinker wood. The heart pine was the wood of choice for the ship builders of the 18th century and was estimated to be over 400 years old when it was harvested. Cypress can grow to be one thousand years old and was one of architect Frank Lloyd Wright's favorite. Heart cypress is among the rarest of woods. I was lucky to locate this wood and be able to hand craft a limited number of drum shells, and am offering these to anyone searching for a unique great sounding drums.